HAPPY HAPPY Monday my Creative Friends! 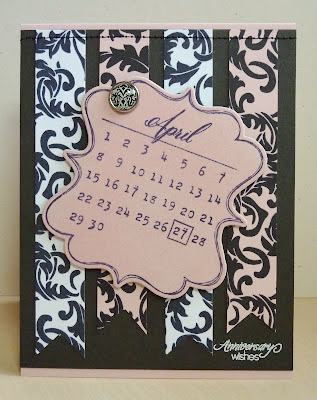 If you are lookig for our "March Stamp Release & Link up Par-tea" using your NEW stamps, you can go HERE! I hope you ALL had a FABULOUS weekend because I kNOW "I" did! ;) Even made the BEST St.Patty's meal EVER!!! Well, let's get right to it! WELCOME to another "Monday Madness....IMAGINE that!" Color challenge! As you can see in the picture above, those are the colors you are to use for this particular challenge! This time, you will have ONE week to complete your project & link it up to Mr. Linky below no later that Saturday, March 24th @ midnight! ALSO, if you don't own an Imagine, feel free to play along using pattern paper in your projects! will receive a SUPER DUPER CUTE 6x6 paper pad by Echo Park! Good Luck & I CAN'T wait to see what you create for us this week! ALSO, Have YOU entered for this AMAZING giveaway from "Cricut Magazine"? You can so do HERE! Hurry, cuz the deadline is March 21st @ 11:59pm! Congratulations to Amy Thompson enjoy making your next creation with your new Theresa Collins Spring Fling pad of paper. Wow I love the colors that you chose for the next challenge the cards shown are beautiful..am looking forward to see the rest. There are so many awesome creations that are always entered. Always enjoy using my Imagine and when I use it I always say WOW this is some machine. Fantastic projects from everyone! This is a color palette I never use, but I love it! I guess I'm going to be trying it out soon. Thank you for the inspiration! Love these colors, great job DT's. These are great projects. I really like these colors together. My favorite color scheme! Love it. Thanks for all the great ideas and fun challenge. Lots of inspiration from your DT, thank you! and Thank you Emma for the fun challenge, the chance to win some of your AMAZING stamps. Never mind! It worked now!!! Thanks for the fun challenge! Awesome projects. Thanks for another Imagine challenge. Good luck everyone. Love all of the projects! Excite to share my first challenge project. Thanks Emma!